Nobody wants to see their child struggle financially. Unfortunately, our society doesn’t really set anyone up for success in the financial department. From the very beginning, American kids are trained to want more -- to never be satisfied. Before they can even talk, they are surrounded by advertisements telling them what would make their lives better. A child need only to look around at all the excess to begin to grow feelings of envy. In addition, kids are not being taught how to manage money. Sadly, in many cases, the parents themselves don't know how to use their finances wisely and therefore can't pass this skill onto the next generation. With little to no training by parents and educators, a large number of kids are left foundering when they set off into adult life. And if all this weren't enough, the busy American lifestyle promotes a debt-based future for most kids. Because so many are bogged down with school, homework, extracurriculars, and structured play dates, they are never given the chance to develop entrepreneurship, problem-solving, and leadership skills through real play. All of these are needed if a person wants to find ways of making and stretching money. But, as a homeschooler, you're in luck. Raising financially smart kids is one of the many perks of educating at home. You see, removing your child from the hustle and bustle of the average American treadmill is the first step in helping him see outside the box. By pulling a child from the traditional classroom, you can have more say in whom your child hangs around with most often. Relationships with like-minded friends can be purposefully cultivated. Additionally, by removing traditional school from the equation, you can give your child the gift of free time. This will allow him to explore his own personal opinions about things, to question what others say and not just follow blindly, and to build up important skills that will help him manage funds and even obtain money in creative ways later on in life. Of course, homeschooling will also provide you with plenty of opportunities to teach your child the value of the dollar and help him understand the ins and outs of being financially smart. Although any parent can teach these things while their kid is in school, busy schedules and conflicting messages from peers make it more difficult. 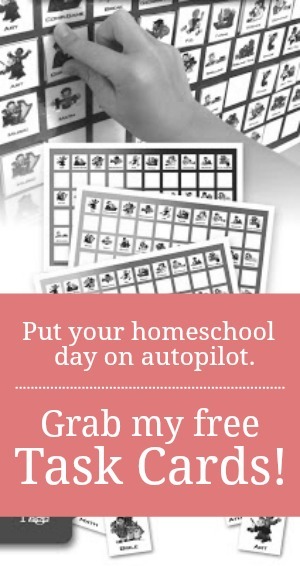 Homeschooling will provide you with the tools and the time to raise financially smart children. Here are some specific ways to weave money management into the homeschool day. Things can be replaced; family, time, and memories cannot. By placing value on experiences, you will have an easier time raising your children to be adults who understand that material items are not worth the stress brought on by debt. While it may not be possible to let you child in on every aspect of the family finances, allow him to budget for simple things like groceries and family trips. This can be a great way to help him learn this important skill. By giving him budgeting practice now, you can help him take baby steps towards wise money management. Kids who are given money or toys outside of special celebrations like birthdays and holidays often grow up to be adults with poor work ethics. Your child should learn that money is earned through diligence and hard work. Younger kids can do extra jobs around the house, but older children should be encouraged to head out into the neighborhood to find work. Insist upon the work and then be sure to reward it with wages. It doesn't always have to be monetary payment. You can grant him extra time at a friend's house, take him on an outing, or just spend quality time with him doing something together. The point is, he should begin to see that work equals wage. It's important to teach your child the difference between a NEED and a WANT and that needs should always come first in the budget bottom line. If your child wants something, he should work for it. You can help him to figure out the cost of the item and to develop a plan to earn the necessary money. Practice setting both long range and short term goals. This will help build the habit of delayed gratification that is necessary for debt-free living. While sitting down with a 13-year-old to discuss credit cards, loans, investments, and retirement plans may not sound very exciting, it is a necessary job of parenting. These are all topics that every young adult should have knowledge of. 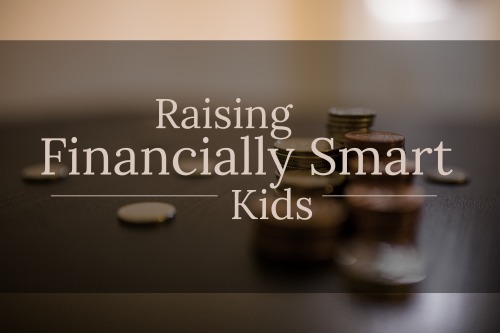 By making an active effort to raise kids who are good at handling money, you can help ensure that your child grows to be a self-supporting individual with a strong understanding of how money works. Money certainly isn’t everything. But, instilling money smarts into your child early on can help him start adulthood on the right foot.